Iliotibial Band Syndrome (ITBS) is one of the leading causes of knee pain in runners and cyclists. It is often referred to as a Friction Syndrome because of one theory that it is caused by the repetitive friction of the iliotibial band (ITB) sliding over the lateral femoral condyle. During flexion-extension ranges of motion at the knee, the ITB moves anteriorly as the knee extends and posteriorly as the knee flexes, which impinges the posterior edge of the ITB. This repetitive friction can lead to irritation and inflammation of the ITB and the b ursa. Another theory has compression playing more of a role than friction and through that compression, structures around the knee become irritated. In many cases, ITBS is associated with tight musculature at the hip, which can increase pressure or tension on the ITB. The ITB is a thickening of the fascia that is formed by the confluence of fascia of the hip flexors, extensors and abductors. It extends from the muscles of the hip down to the knee and attaches at 3 sites: the lateral border of the patella, the lateral retinaculum and the Gerdy’s tuberlce of the tibia. The ITB functions with the hip musculature and plays an important role in stabilizing the pelvis and knee during the support phase of the gait cycle. The initial goal of treatment should be to alleviate inflammation at the site of irritation by using ice massage, ultrasound, or NSAIDS. An application of a kinesiotape such as Spider Tech can also be useful at this stage. Patient education and activity modification are crucial to successful treatment. Exacerbating activities must be avoided and the athlete’s training schedule must be modified. Stretchin g exercises can be started once the acute inflammation subsides. This is also when we want to address the myofascial restrictions in the tissues. Active Release Technique can be an effective treatment for Iliotibial Band Syndrome. ART restores optimal texture, mot ion, and function to the soft tissues by removing adhesions between adjacent structures. 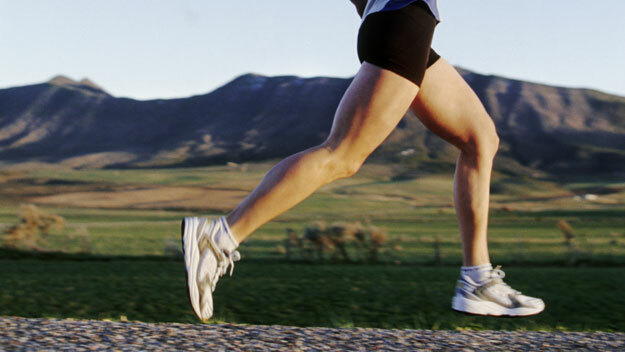 Treatment often focuses on restoring normal muscle motion between the ITB, quads and lateral knee structures. Treatment also focuses on the lateral hip musculature; TFL, gluteus muscles and rectus femoris. Once the myofascial restrictions have been addressed and range of motion is restored, strengthening muscle weaknesses becomes a very important part of the recovery process. Exercises should emphasize eccentric muscle control, multi-planar movements and functional integrated movement patterns. A return to running program needs to be carried out gradually, with small increases in running mileage and frequency and can be initiated once patients can perform strengthening exercises without pain. Predisposing factors for ITBS can include training errors, such as increased mileage or intensity too quickly, road camber (always running on same side of road) and excessive down hill running. Other contributing factors include altered biomechanics such as low/high arches, over pronation, genu varum, tibial torsion, pre-existing ITB tightness and muscle imbalances. Research studies have demonstrated that many people with ITBS have significant weakness in the hip abductors of the affected limb and increased adductor adduction moments because the hip abductors are unable to eccentrically control that movement. The primary initial complaint in patients with ITBS is diffuse pain over the lateral aspect of the knee. With time and continued activity, the achiness ca n progress into sharp, localized pain above or below the lateral knee joint. 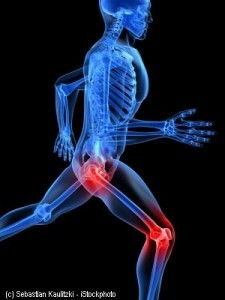 It can also cause pain along the length of the ITB, or at the lateral hip. Pain worsens with continued activity and can be especially aggravated by running downhill, climbing stairs, or after sitting for long periods of time. Typically the pain begins after the completion of a run or after several minutes of exercise. As the ITB becomes more irritated the symptoms begin earlier and can even occur at rest. In some cases, patients will present with swelling at the lateral knee or report a snapping/popping sensation at the lateral knee or hip. Physical examination will often reveal tenderness on palpation of the lateral knee approximately 2cm above the joint line. 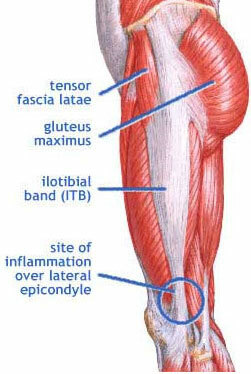 Tenderness is often worse when the knee is flexed at 30, which is the angle that the ITB is at maximal stress. Palpation of the hip musculature (TFL, gluteus medius, vastus lateralis) may reveal trigger points that cause referred pain to the lateral aspect of the knee.